Blog - The Season of Holidays. The Season of Holiday Gifting. the season of holidays. the season of holiday gifting. Come December, and the last month of the year brings with it an air and atmosphere of festivities. It is time for the Season of Holidays. The month sees the arrival of the festival of Christmas on December 25th – which is celebrated with warmth and gaiety throughout the world. And it culminates with the arrival of the New Year – in this case 2019 – wherein the world will ring out the old and ring in the new – with new resolutions for a refreshed start to everyone's lives. Indeed, December is a time for shared celebrations. It is a time to come together as a family, a community, a nation and a world – where the holiday spirit is steeped into every moment and memory. Not only that, with the coming of the Season of Holidays, it also ushers in the Season of Holiday Gifting. A season to share gifts – and bond with one's family, relations, friends, colleagues and associates. A time to gift from the heart. The Season of Holidays is truly the time to celebrate the essence of togetherness. There is a saying that it doesn't matter whether gifts are big or small, expensive or not, as long as they are given from the heart. It is the thought that counts. Of course, if gifting is on your mind, then you should consider gifting perfumes – after all, nothing compares to the expression of love that comes from a perfume being gifted to loved ones. So why gift a perfume? There are reasons galore for the Holiday Season! Perfumes are a great surprise gift – they are a true emotion of love and an expression of pampering. Perfumes emanate the whiff of togetherness – they offer a choice – both as individual fragrances as well as a selection of perfume gift sets – which means the receiver can enjoy a variety of fragrances customized to his or her liking. Perfumes are also a hallmark of luxury – and as such; when they are received as a gift; they are perceived to be of value – one that goes beyond just the cost of the perfume. Again, when you think of gifting a perfume you have so many options to chose from. 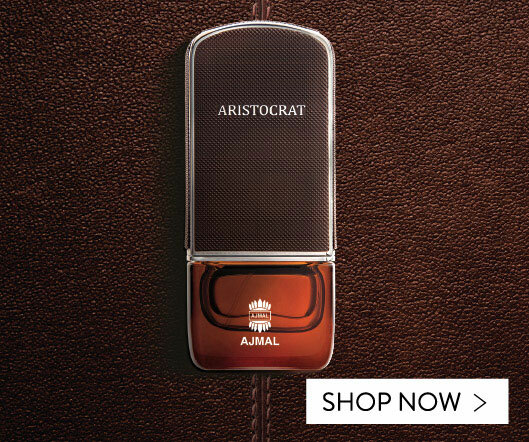 You can select a classic fragrance, a signature essence, a brand-new bouquet – anything that the receiver already uses or would be delighted to add as a new one to his or her collection. Finally – and most importantly – you cannot really go wrong with a perfumed gift: perfumes are fairly easy to pick, and there are as many expressions as the personas of the people you are gifting them to. 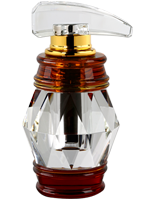 Ajmal Perfumes. Many gifting reasons for the season. Need a beautiful gift for the Holiday Season? Don't look beyond Ajmal. Our very name means 'beautiful' in Arabic – and as the experts in perfumery for almost 70 years, we have a vast selection of Oriental and French fragrances that make for exquisite gifts for the festive season for your loved ones. Indeed, we have so many reasons for you to choose us this festive season. A variety of extremely popular individual essences. Many 'scentsational' perfume gift sets. 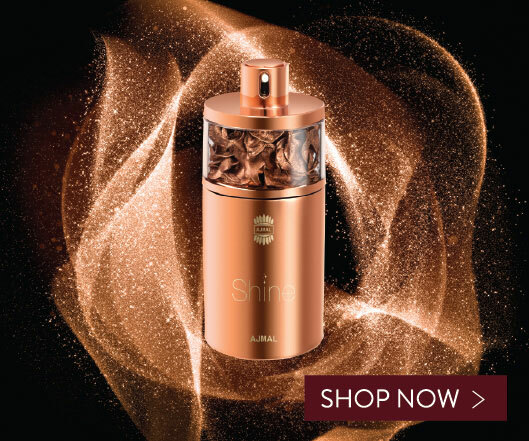 Exclusive online perfumes and gift sets. And many price and discount offers that make your choice even more fragrant. Celebrate buying online. Share memories offline. 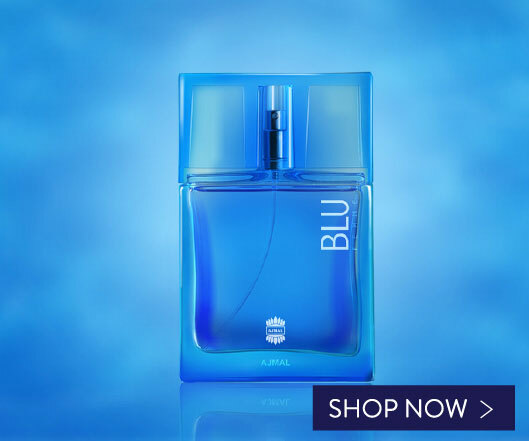 Here, you can select a wide variety of fragrances in the comfort of your home or office, pay for them conveniently online, and even have them delivered to your loved ones. Whatever you do, it will be just the thing to help you buy online, such that you can celebrate togetherness offline with the loved ones you've gifted. So what are you waiting for? 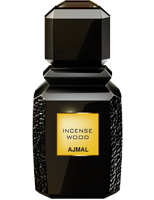 Just ho, ho, hop online and savor the spirit of this Holiday Season with Holiday Gifting from Ajmal Perfumes!